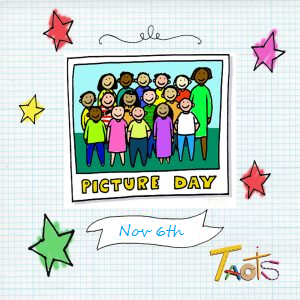 Picture day is coming up on 10/1/2018 and we are actively looking for volunteers to help make it a smooth and happy one! Perhaps you are a whiz at organizing order forms or getting kids to flash their pearly whites. If straightening collars or lining up kids in height order is your jam, we need you there too. We thank you in advance for your time and welcome any additional suggestions you may have!